Happy Tuesday! How adorable is this pave wishbone necklace from Cbiji Collection? 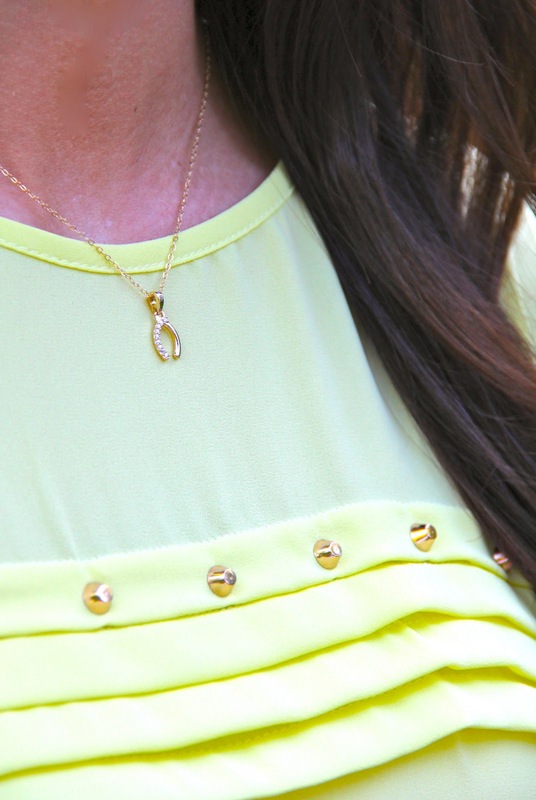 I love wearing dainty, gold jewelry and this piece couldn't be more perfect! Leave a comment below with your email address after you've completed all 3 entries. Thanks for reading and have a lovely day!! xo. Love this necklace, so pretty! I completed all three requirements. LOVE this necklace! Did all three. I have the perfect top to match this necklace, so pretty! Following on Bloglovin' via Caitlin Giesler and on Instagram via caitlinjgiesler. Email is cjgiesler@miners.utep.edu. I've been wanting a wishbone necklace for so long...this is just gorgeous! Fingers Crossed! I've been wanting a wishbone necklace for so long - this one is just gorgeous! Fingers crossed! This is such a cute necklace, to die for! Beautiful necklace! Completed all 3 requirements! Thanks! !